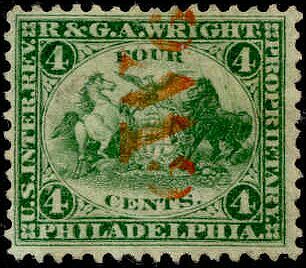 The Wright stamps, often cancelled with their distinctive "W," were issued in four denominations. The one-cent was issued from May of 1866 up to October of 1880. 1,445,928 were issued on old paper, 632,512 on silk paper and 12,600 on watermarked paper. This one is on old paper. The two-cent stamps were issued from July, 1866 up to October, 1880. 420,005 were printed, on old paper, 125,001 on silk paper and 9,000 on watermarked paper. The copy above is on silk paper. The three- and four-cent stamps were issued from July of 1866 to October, 1880 as well. 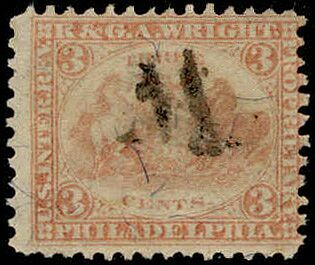 164,353 of the three-cent stamps were issued on old paper, 43,662 on silk paper and 5,000 on watermarked paper. 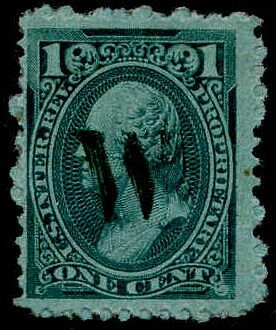 94,275 of the four-cent stamps were issued on old paper, 26,500 on silk paper and 3,750 on watermarked paper. 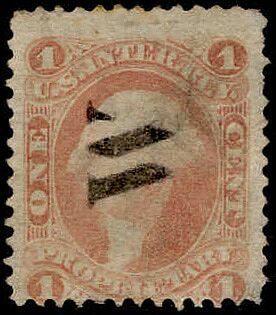 The three-cent stamp above is printed on silk paper and the four-cent on old paper. 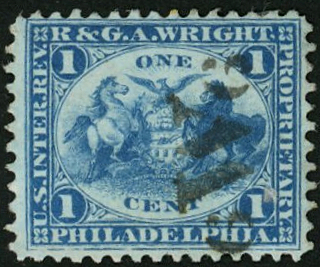 The "W" cancel of the Wright perfume company on a first-issue proprietary stamp. This was probably what they used before their private die stamps were printed. 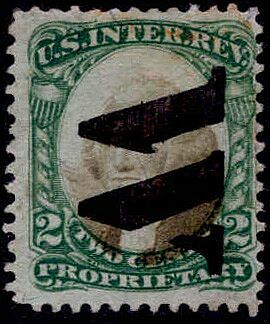 "W" cancels on two other general proprietary stamp issues. 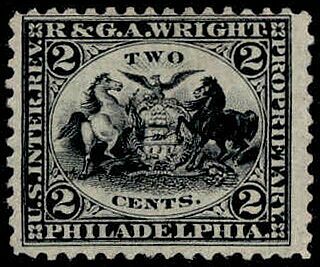 These stamps were not issued before 1871 and 1875, respectively, so the Wright company would have been using them at the same time as the private ones. Perhaps they saved the more attractive ones for their perfumes and sold other cosmetics with general issue stamps.